House hunting for preppers — helpful tips! Moving from one home to another can be both stressful and exciting. My family just moved from Northern Alabama to Central Florida in August. We made a list of “must haves” to give to our realtor… open floor plan with 4 bedrooms, 2 bathrooms, a fenced in yard and an easy commute to work for my husband. But we had a separate list of questions to ask about each property that related directly to preparedness. These are questions you should ponder when moving into a new home and, especially, when you’re house hunting as preppers. Where will we put our stuff? One of the most important prepping considerations to make when searching for a new house is storage space. Our stock of food, water, and supplies takes up a lot of room. Where will we put it? Food storage needs to be inside to regulate temperature – and not inside an uninsulated garage or storage shed, either. Is there an extra closet big enough to accommodate all our #10 cans of dehydrated foods? How does the home receive it’s power? Gas? Electric? Solar? A combination? Gas for heat, hot water, and stove is preferable because these will run even when the power is out. Solar will also work without power and would potentially allow you to run a refrigerator, cooling fans and heaters, and recharge batteries. Does the home have protections (shutters, reinforced glass, roof and foundation straps) against hurricanes? This question is specific for us living close to a coast in Florida, but you should think about natural disasters that occur in your location. Earthquakes? Tornadoes? Flood? Wild Fire? Arctic cold? Does the house have the preventive or protective components needed to keep your family and property as safe as possible? Is there a “safe place” in my home? Where would I take cover from a tornado? Is there a basement, shelter, or interior space that would make a good spot to protect myself and my family? What about a “hidden” spot to hide from intruders or to hide firearms and supplies? One home we looked at had an odd crawl space storage with the only entry on the inside of a bedroom closet. It was big enough for the whole family to sit inside along with room for some storage and could be easily hidden with hanging clothes. Realtors will tell you location is everything and they are right! Of course they are speaking more about property values than preparedness, but location is critical for preppers. Is there an alternative water source (lake, pond, well, river or stream) on or near the property? What if your city or county water supply is shut off for an extended period of time? Having a water source that can provide drinkable water (after you treat it properly to make it safe) will reduce the amount of water you have to store in case of an emergency. Storing drinking water but being able to use water from a pond to flush your toilets would be a great benefit. Having a source of drinking water once your stock runs out will provide some peace of mind. Keep in mind that a gallon of water weighs eight pounds, so if your water source is too far away, it will be hard work to collect and carry water back to your home. Learn the depth of the water table in a desired area or neighborhood. Digging a well on your property might be an option. Is the home in a flood zone? A nearby water source is great, but too much water too close may not be. Rising water with every heavy rain storm can cause undue stress. It will also increase your home owners or renter’s’ insurance rates. You can find out if a home is in a flood plain by going to the Flood Smart website. Many people still choose to live in flood zone areas. If you do, be sure to take it into consideration when storing your preparedness items and making your emergency plan. Are there fruit or nut trees in the area? Is their room to plant fruit bearing trees, berry bushes, or a vegetable garden? What’s the population density of the area you are moving into? High populations could present a problem in a grid down situation, but being miles from neighbors could result in not getting help quickly enough if needed. If you are in a hurricane area, where are you on the evacuation route? If you’re close to the coast, you’ll potentially be “last in line” to move to safer ground. Further inland will result in fewer miles to drive with the evacuating hoards of people. Millions of people live in hurricane zones. 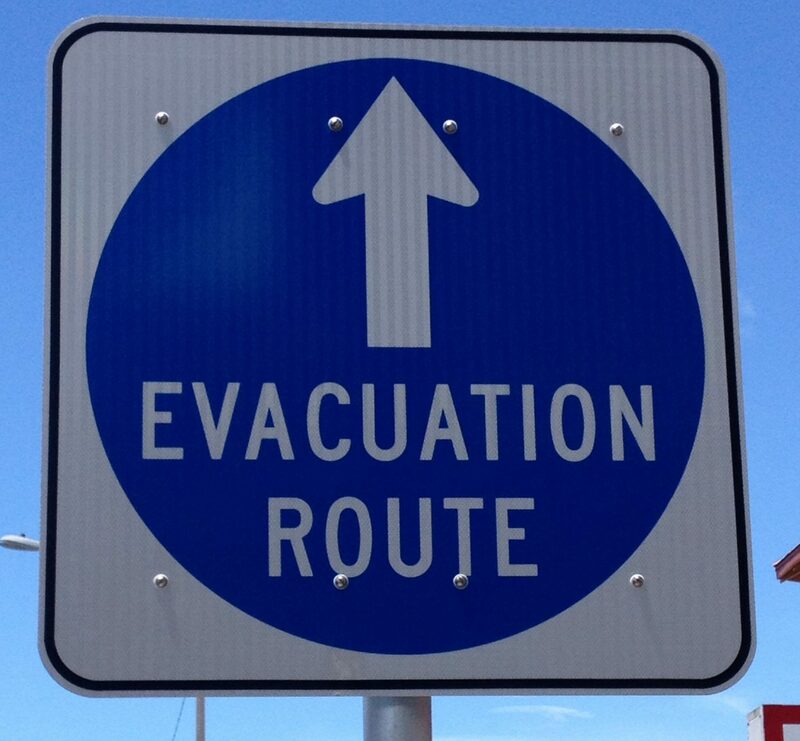 If you choose to move into a home in a hurricane zone, make a plan for evacuation well in advance, practice driving the recommended evacuation route, and know some alternate routes you can take. Evacuation routes aren’t just for escaping hurricanes. Look at a map and determine routes you might take to leave your area. Are there bridges you must cross? Shortcuts out of or around metropolitan areas? What “targets” are nearby? Terrorism is a concern in our world. Living right next to military bases, bridges, tourist attractions, malls or universities, downstream from a dam, or near a chemical plant might increase your risk. It doesn’t necessarily preclude living in a home near these locations, but it might alter the way you prep. Are there hazmat risks near your home? Trains transport hazardous materials near or through neighborhoods every day. Check to see how far away train tracks are from your potential home. Think about the refineries, nuclear power plants, chemical plants, and other factories discussed earlier. Accidents can happen at these locations as well and could result in evacuation or sheltering in place. What about cell service? Be sure to check your cell phone at every house you visit. If your cell is your only phone, this is more critical, but think about when the power is out and your cell is the only option. You don’t want your house to be in a dead zone. Do you want to live in a Home Owner’s Association (HOA) controlled community? There are many good reasons to live in an HOA neighborhood. Property values tend to be more protected, the neighborhoods often have a neater appearance, background checks may keep out some criminal elements, and they could be gated communities that offer more security. As a prepper, there are other things to consider. Will the HOA allow you to have rain barrels on your property? How about chickens? Or a garden? Or solar panels? If living a more self-reliant lifestyle is important to you, consider staying away from HOAs that are not accepting of your lifestyle. Here’s the bottom line. 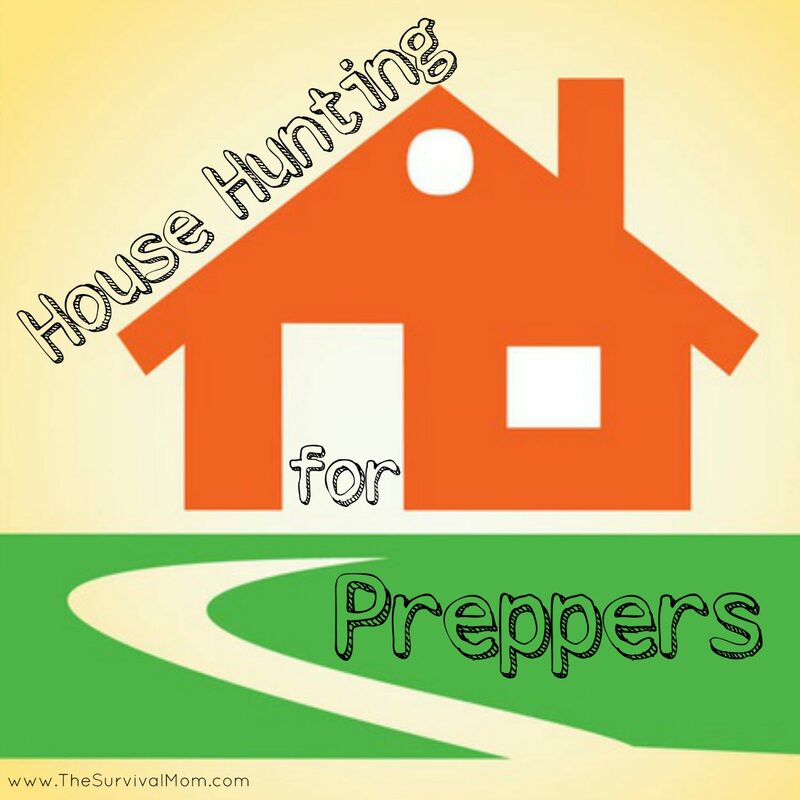 The chances of finding the perfect prepper house and location are slim to none. If it already exists or can be built, it’s likely out of the price range for many people, or out of the question because we can’t move away from our source of income. Think about all the issues presented here and answer them honestly about each house considered. You’ll have to determine what you’re willing to compromise or risk, and then take steps to mitigate and reduce the risk as much as possible. Happy house hunting! What would you want in your perfect prepper home? Click here for a checklist from The Survival Mom & Sentry Safe. Wanna know what’s even harder? Find a place to RENT that fits all the above criteria, knowing you WON’T be able to “add on later”. I’ve been looking at property around Seattle tacoma, my daughter (3) and myself are at my moms till I find something. There are so many issues I am weighing in my mind, not to mention cost. South is cheaper but we have the joint McCord ft Lewis base, if we head into the islands Bremerton has a naval base and you have to consider bridge issues. Not to mention volcanoes in the area. Being single, already had back surgery, with a little one gives me pause on getting to far out from my family. But evacuation if needed for any reason would be easier, since we are landlocked by water on one side and mountains on the other. Closer to mountains means closer to volcanoes but easier access inland. Ugh! Staying in the area of my mom, easiest to find 1/4 acre, if you luck out 1/2, rarely an acre or more may surface. I’d ideally like an acre, I think that would be manageable. So do I go out for land ( more apt to find a well) or less land, closer to family, and public water. Tina… I have a solution for you… Pack up yourself, your little one, and your mom, and you all move out to the boonies on a hudred acres with a well, a stream, a solar and wind powered home with a wood burning stove, and a handsome doctor who lives in the caretaker’s home by the lake on your property! If only it was that easy, right? You need to assess which risks are most likely, and which are most worrisome. My answer may not be the same as yours. You may be more worried about the volcano while my focus would be on not having to be dependent on bridges during an evacuation. I would recommend making a list of priorities and going from there. Ideally, in *my* mind, you would move further away from the city with more acreage and try to get your mom to move nearby. Remember that Florida has pro solar power laws. No HOA can stop you from putting up panels or a clothes line. Amy, you brought up a very good point to consider the importance regarding bridges. My experience is that the small, simple bridges are the ones that can become most easily impassable. I have often seen where debris has clogged one of these small bridges and forced the water around the bridge structure. This caused the gravel to be removed from one or both sides of the bridge without really damaging the integrity of the bridge itself. It’s a simple repair, but it will require a couple of truck loads of gravel, a back hoe to remove the debris from the creek, and a bladed machine of some type to restore the roadbed to the bridge structure. You could actually jump over the damaged area, but even the largest vehicle isn’t going to make it across. Until the entity responsibility for the bridge repair can do their work, it might be a few days or even weeks before a vehicle can cross again. Great article. We are right now in the process of buying a house, with prepping in mind. These principles are what we considered in our search. We had been in the mountain southwest and water concerns were the main reason we decided to move east. That and soil fertility. There are soil maps of the US and this might be an additional consideration in a purchase, if you are hoping to grow your own food. We founda property that had so many of the features we needed, down to a locked weapon storage room.and food storage closet in the basement.. Upon meeting the owner, we discovered he is a prepper, so it all made sense. But we think we really lucked out with this particular place… Gravity fed spring, for one, so we will always have water. Mainly, the land has to be what you need. The house can be changed, but not the basic land situation. Tina – we are looking (long term) in the same area. I share your concern about the volcano issue with Puyallup and associated area. However, Bremerton is also relatively close to the Trident SLBM sub facility at Silverdale. That allegedly is the largest nuclear weapons storage area in the world, so that will be a major problem in most cases. We like Gig Harbor and Whidbey Island. When we bought out current home I was not yet prepping, so there are certainly some things I will be making sure I have in our next purchase, likely in about 2 years. Living in Minnesota, the number one thing for me that my current home does not have that concerns me is an alternate heat source. I wanted a fireplace when we bought, but the next time around it will be high priority (woodburning would be ideal). I am lucky that I have good storage for my preps in this home though. I won’t even look at a home without a large pantry, and able to have chickens, goats, and geese. I agree with a previous commenter that rentals are even more of a challenge. We recently relocated and we didn’t want to jump into a purchase. Our decision not to buy based on several reasons but generally because we aren’t sure about the areas and also that my husband’s office building will be relocating, so we didn’t want our home to be an incommutable distance from the future office. It was impossible to find a rental on acreage within an hour drive. We are selling the perfect home, property and outbuildings for preppers! Located in Coeur d’Alene, Idaho. It is a 4 bedroom, 3 bath, 3,000 sq ft home with 2 pantrys, two gas fireplaces and lots of storage. A completed daylight basement and 90% remodeled and updated. There are 3 large outbuildings one with an additional building within a building. Paved driveway. Fenced, garden area, fruit trees, wild life. Deluxe chicken hotel. Covered Hay storage. Be self sufficient here! $495,000. Char, I’m going to remove your email address, since you never know who may come along with dishonest intentions. I’ll eave the information, though, and if someone is interested, I can put them in touch with you. Email me, admin @thesurvivalmom.com. Good luck selling your home! I am selling my preppers-survival home due to illness. It is off grid if you want it to be. It is 3 bedroom, 2 bath, den, laundry room and back porch on .3 acre of land, enough for a large garden fenced in. It has a two car garage and a carport and enormous water storage. I can’t find a place to sell it. Do you know of a place to sell it? It is in show low, az. Here are a couple of groups/sites where you might find interested people. I believe that area is one of the recommended bug out locations by the author of Strategic Relocation, Joel Skousen.